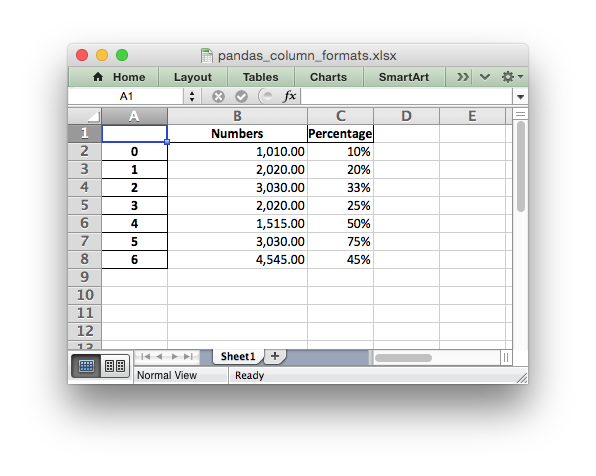 An example of converting a Pandas dataframe to an Excel file with column formats using Pandas and XlsxWriter. It isn’t possible to format any cells that already have a format such as the index or headers or any cells that contain dates or datetimes. # with column formats using Pandas and XlsxWriter. # as the index or headers or any cells that contain dates or datetimes.